We are having our first of two family thanksgivings today and I have been preparing for this all year. Like runners prepare for marathons, I prepare for Thanksgiving. My training obviously does not include physical activity. But I must say, I am very prepared. We had our first freeze over the weekend, as we are late bloomers here in Texas. I was more than happy to pop open my coat closet door and pull this pink number on. Or purple. I can’t tell — I think it’s lilac and the other two people I asked think it’s pink. Either way it’s fabulous. I’ve long been a fan of a colorful coat. I think that they have just as much say in my winter wardrobe as the neutrals ones. 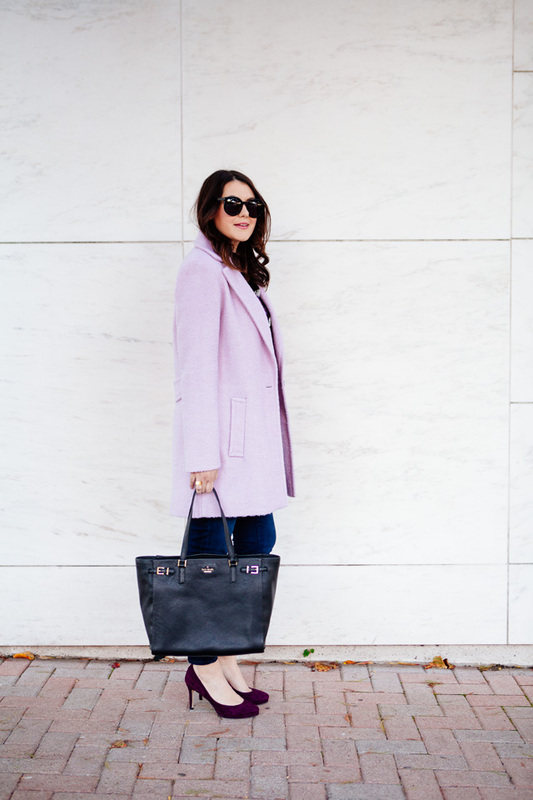 Because when it’s dead of winter and everything is grey, at least your coat is pink. Or purple. Still out on the jury for that one. That coat is gorgeous! Good luck with thanksgiving – it sure does take a lot of work! http://trendkeeper.me .. 3 quick and EASY holiday hairstyles! Love the pop of color with a patterned blouse!! I love these pumps – they are the perfect eggplant color! I love all the different shade of purple in this look! So gorogeus! 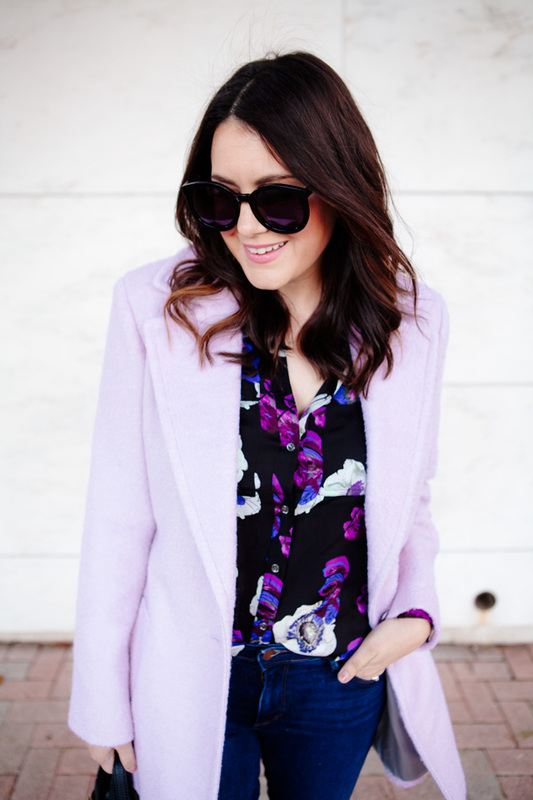 I love the colors in this outfit Kendi! 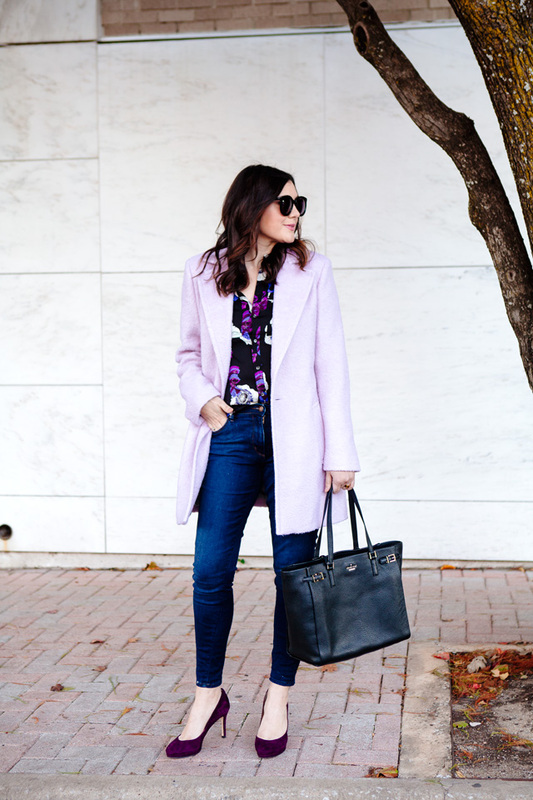 that coat is such a fun twist on a cold weather classic. This is amazing!! The coat is gorgeous, what an amazing colour! 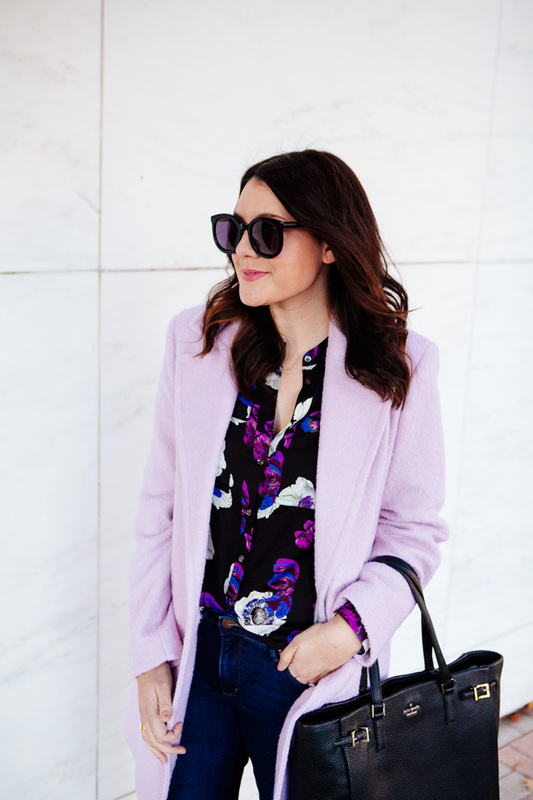 A lavender jacket!? yes 100x’s over. I adore this combo of lavender, purples and plum. So so pretty! I just adore that purple jacket!! Love the purple/blue hues together. Very pretty! 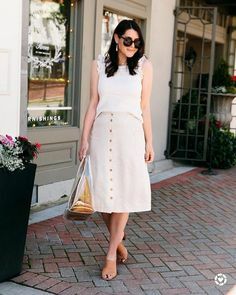 Such a great look! 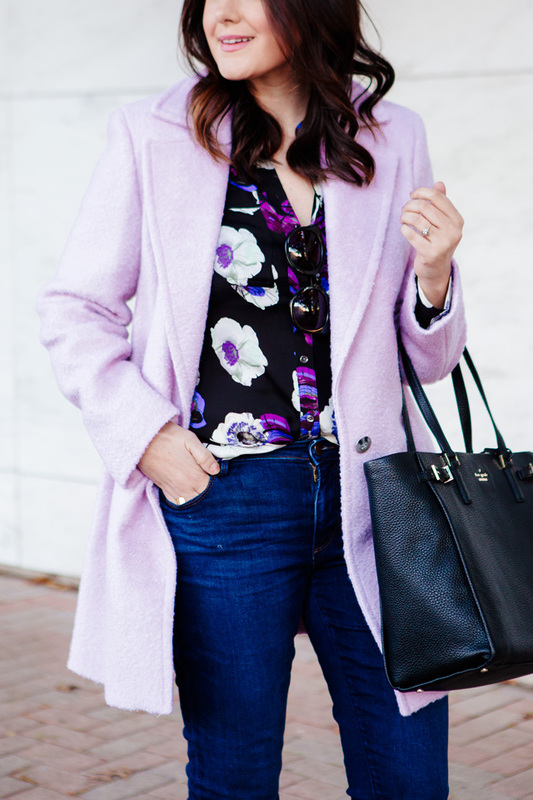 I agree, I love colorful coats for winter, brings some bright and happy to those gloomy days! Such a feminine outfit and beautiful combination of colors. Such a pretty shade of lilac! You look beautiful! Happiest of Thanksgiving to you, Kendi. Such a gorge cost! I hope your holiday gatherings are wonderful! Such a beautiful coat- is it warm? You always wear the coolest things! Those purple shades are gorgeous on you! Definitely lavender/lilac on my screen, but whatever color it is it’s a very pretty coat. Love the whole outfit especially the gorgeous deep purple heels. Happy first Thanksgiving!